Department of Anesthesiology, University of Pittsburgh, 200 Lothrop St, Pittsburgh PA 15213, USA. 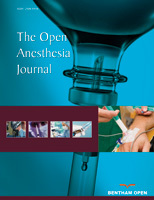 The recent deliberation by the United States Supreme Court regarding the use of lethal injection for executions has raised public awareness regarding the technique itself and any similarity with clinical anesthesia. This paper reviews the issues, with an emphasis in utilizing lay terms, to provide information and reference to professionals and lay persons interested in the subject of lethal injection. Anesthesiologists are most knowledgeable of the specific drugs involved in the process and may be called upon to provide information in this matter.